Home > Share - ETFs > Father of index funds - John Bogle is no more..! Father of index funds - John Bogle is no more..! 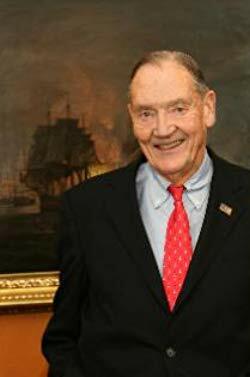 Father of index funds - Mr. John Bogle is no more..! Father of index funds, astute investor, a campaigner of investor interests - Mr. John. C. Bogle was all that and much more. A trailblazer in the global mutual fund industry John. C. Bogle revolutionised investing for the common man. By popularising index funds, he provided ordinary investors with a low cost alternative to participate in equity markets. His relentless focus to reduce costs saw him structuring Vanguard as a mutual company (where unit holders are shareholders of the company). Competitive forces meant that his actions led to lower fees in the entire US MF industry. A strong believer in safeguarding investor interests, he was an outspoken critic of unethical practices in the industry. While, Jack is no longer with us, his mantra of ‘common sense investing’ and ‘buy and hold strategy’ will guide millions of investors going forward too. Mr. Vetri Subramaniam, Group President, Head of Equity, UTI Mutual Fund fondly recollects John’s powerful investing mantras. Mr. Vetri Subramaniam said, “He was a strong believer of ‘revision to mean’. Mr. Vetri Subramaniam salutes John’s entrepreneurial spirit, which disrupted the asset management industry and made passive funds popular among masses.